What's happening in the Library?! 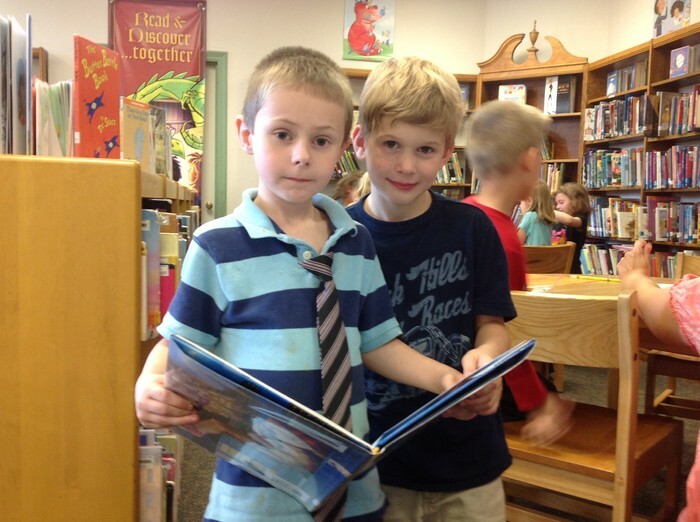 PTA Read-a-thon: Students stock up on books! The PTA Read-a-thon begins in November. Make sure your students are stocked up on books and encourage them to visit the library often to borrow new ones! 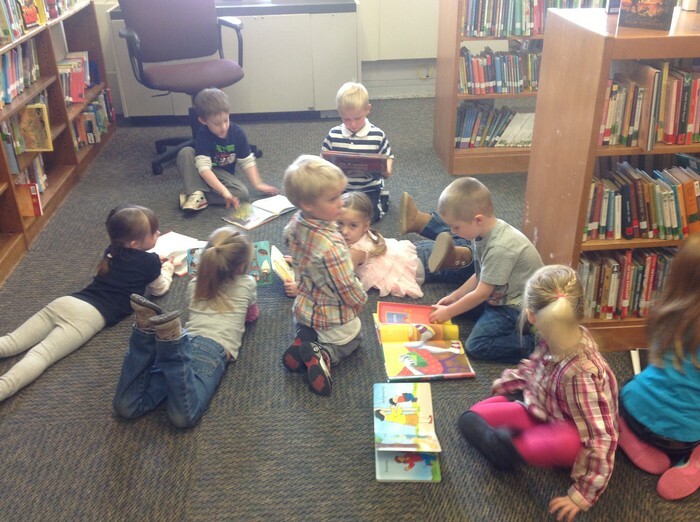 Mrs. Burkhardt's Pre-K Classes have started to come to the Library weekly to choose books. They are well on their way to becoming wonderful library users! 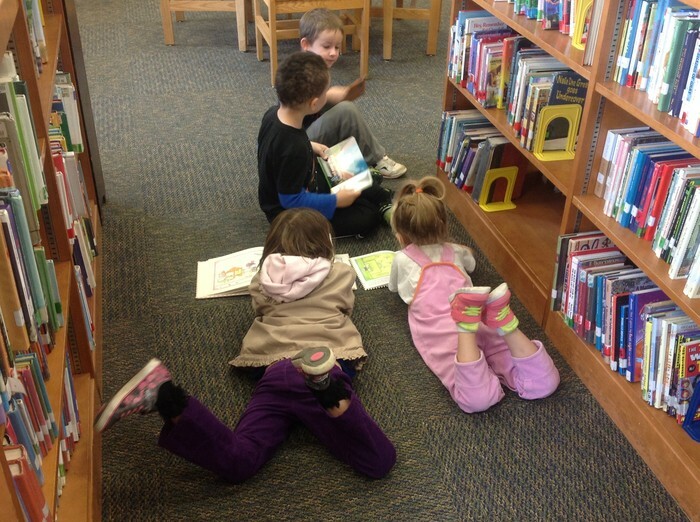 Mr. Brown's First Grade class continues to visit the Library weekly to explore books and choose their own. After finishing learning about library etiquette, they have ventured on to share and discuss seasonal literature, including the Caldecott winning book, Creepy Carrots and Arthur's Halloween. Ask your first grader about the adjectives they would use to describe carrots! Mrs. Raymond's First Grade Class visits the Library weekly to practice their computer skills. They are able to log on to computers and find their way to the library website like experts! Beginning in November, third grade classes are beginning projects asking them to explore different aspects of animals. Students will use the PebbleGo database to take find information about their animals. After taking notes, students will synthesize their information and create monologues from the points of view of their animals. We will record their voices using Blabberize and make it seem as though their animals are talking about themselves! 6th graders in Mrs. Baker's Social Studies classes are working on a revamped version of the traditional countries project this November. Students are using databases including World Book and Grolier to answer the essential question "Would I rather live in the United States or in ________(the country they chose to research)?" Students will research aspects of their countries, including the government, climate, and the economy and compare it to the United States. After completing their research, each student will make a commercial using Animoto advertising the reasons why or why not they would move to the country they chose. Check back here for a couple of example of those commercials once they are completed!